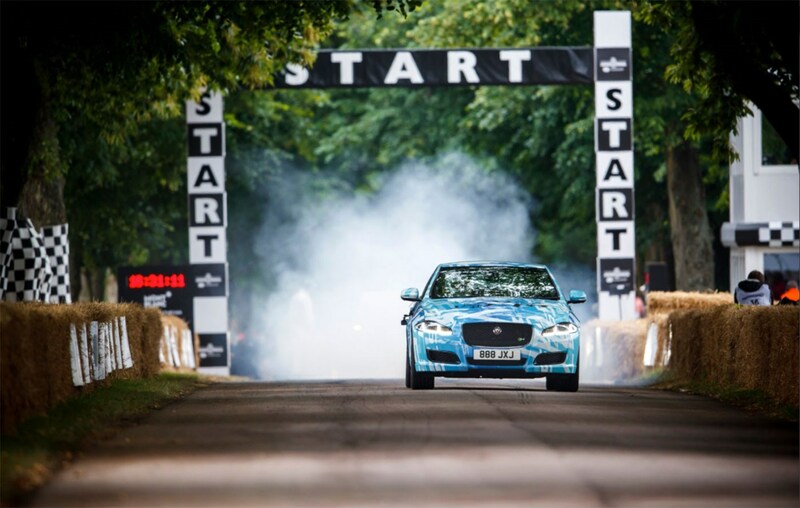 Jaguar’s Special Vehicle Operations department is at it again. 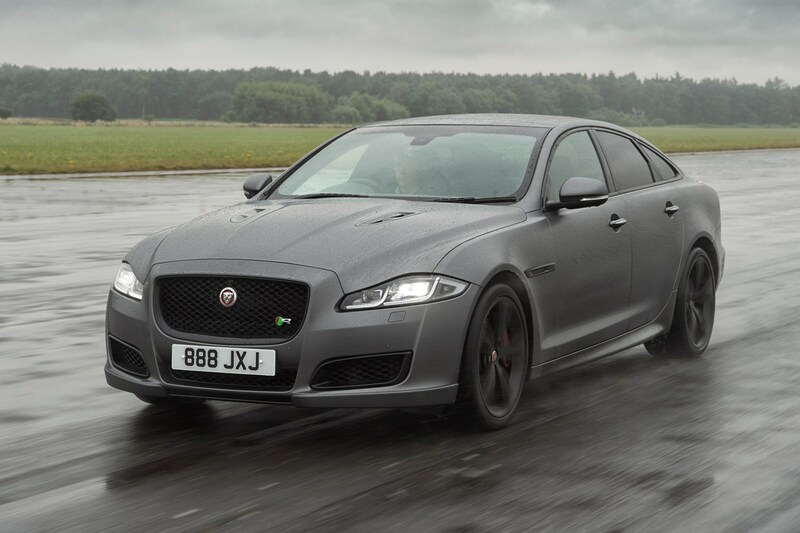 This time, they’ve breathed on the Jaguar XJR to create the most powerful XJ yet – the XJR 575. 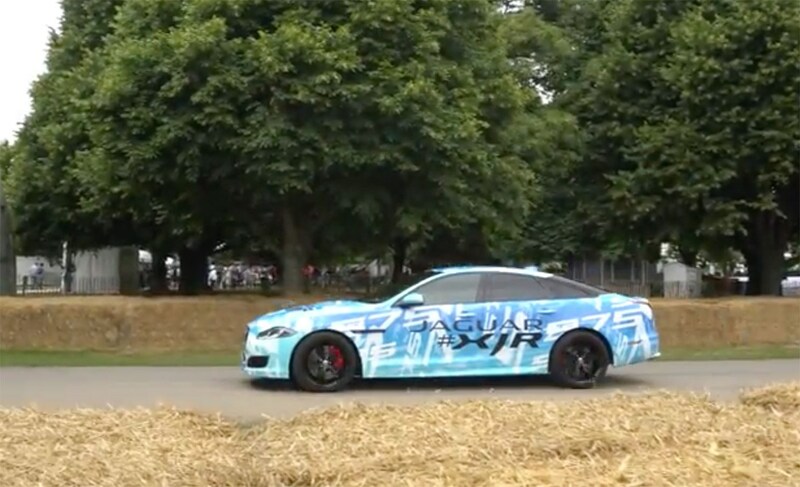 Jag teased us with a camouflaged car that burbled up the hill at the 2017 Goodwood Festival of Speed, but now it’s here. 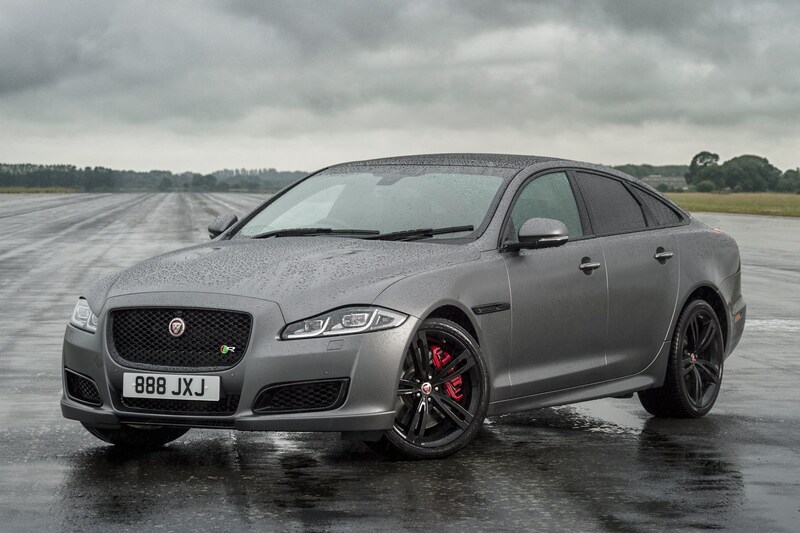 So what’s the difference with the XJR 575? Mainly the extra grunt. 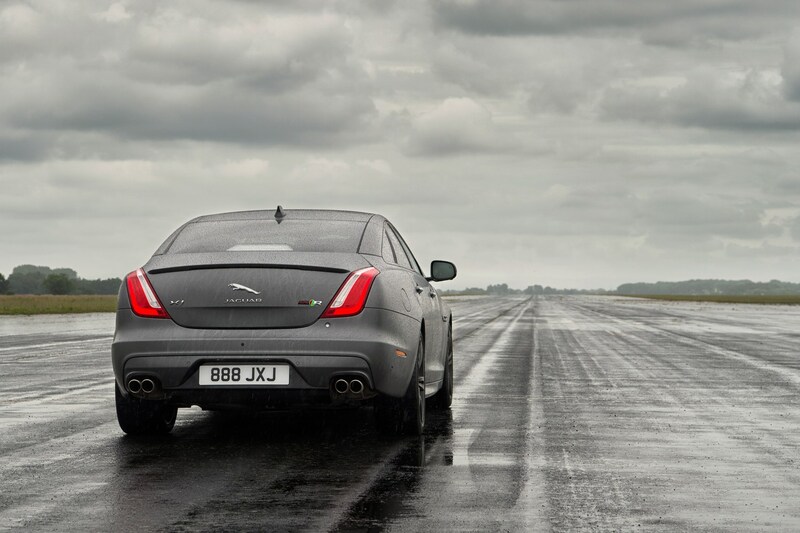 Power in the 5.0-litre supercharged V8 has jumped from 550hp to 575hp (or 542bhp to 567bhp in Church of England horsepower) and torque is now up to 516lb ft.
That means the 0-62mph launch sprint is now down to 4.4 seconds and Jaguar even brags that its most powerful super-saloon can hit 186mph from a standing start in 44 seconds. SVO has announced two new exterior colours: Velocity Blue and Satin Corris Grey (pictured) as well as subtle exterior changes like a fresh rear spoiler and air intakes with gloss black surrounds. Jag has also updated a couple of things inside, too. The Touch Pro infotainment system now has a larger screen, at 10-inches, and comes with 4G wi-fi inside. Come on then, how much? Just a smidge more than a regular XJR. You can order one now, priced at £93,710.